Just one day after Apple announced the brand-new 10.5-inch iPad Air and a refreshed iPad mini, the company has launched updated iMac desktop computers in two sizes and two times the performance. On Tuesday Apple announced its updated lineup of iMac desktop computers, finished with new processors and graphics chips, in two sizes: 21.5-inches and 27-inches. Both desktops in all configurations come with Radeon Pro Vega graphic cards in varying amounts of speed and memory. Though the 21.5-inch model has a 4K Retina display and the larger desktop has 5K, both "result in text that looks like a printed page, sharper photos with more detail, and the ability to edit 4K video at full resolution." Naturally, the entire lineup is powered by macOS Mojave, the latest version of Apple's desktop operating system newly complete with dark mode, Stacks (a feature that organizes desktop files), and a redesigned Mac App Store. These products were launched just a day after two new iPads hit the digital shelves and about a week before the March 25 event where the company is expected to announce their Netflix-like streaming service. With the iPad and iMac lineup being updated back-to-back, maybe we'll also be seeing the iMac Pro get updated this week. 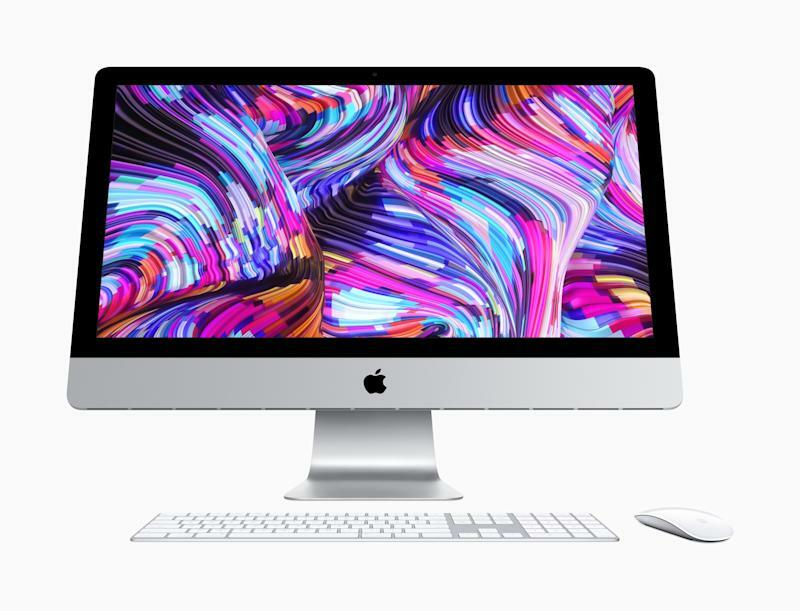 The new 21.5-inch iMacs start at $1,299 (the existing non-Retina display iMac is still available for $1,099), while the 27-inch models span from $1,799 to about $5,878 with everything included. Both are available online today and in retailers next week.